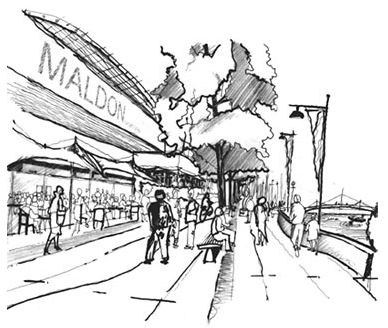 Maldon District Council invited Expressions of Interest to participate in this local ‘leisure quarter’ development. 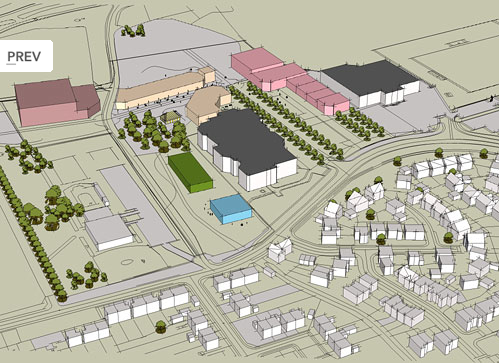 The potential was to develop land adjacent to Blackwater Leisure Pool to form a cohesive leisure and sports park. The client asked us to work up a proposal to support their bid and make the formal presentations to the selection committee. This conceptual proposal demonstrated how various uses could be integrated and how opportunities could be uncovered. Our scheme included a hotel, cinema, restaurants, bars, office space for the relocation of the council’s offices and an ‘activity zone’, plus the potential for residential units.